Q: How do you put together a team of leaders to guide a church through a new ministry initiative or project? Pat MacMillan, author of The Performance Factor, and Seth Godin, author of Tribes, have been a great resource for me in working with church teams. Here is the second of several posts on the topic. The first characteristic was a common purpose. High performance teams are also characterized by crystal clear roles. Every team member is clear about his or her particular role, as well as those of other team members. Roles are about how we design, divide, and deploy the work of the team. While the concept is compellingly logical, many teams find it very challenging to implement in practice. When they get it right, though, team members discover that making their combination more effective and leveraging their collective efforts is an important part to synergistic results. A: Defining the common purpose of the team is the first step of creating a team; that common purpose is the reason for cooperation. Following that, the church must develop an appropriate division of labor and create clear roles for team members. This is the strategy for cooperation. 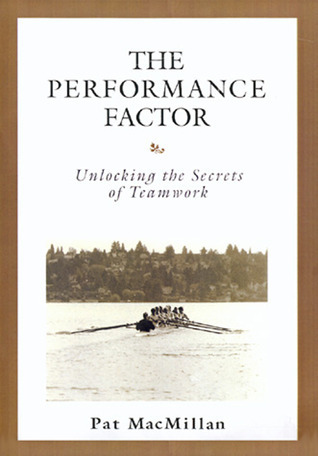 This entry was posted in BookNotes, Leadership, Teamwork and tagged Pat MacMillan, Seth Godin, The Performance Factor, Tribes. Bookmark the permalink.